I've worked with so many business owners who are often afraid of being specific because they don't want to leave people out. 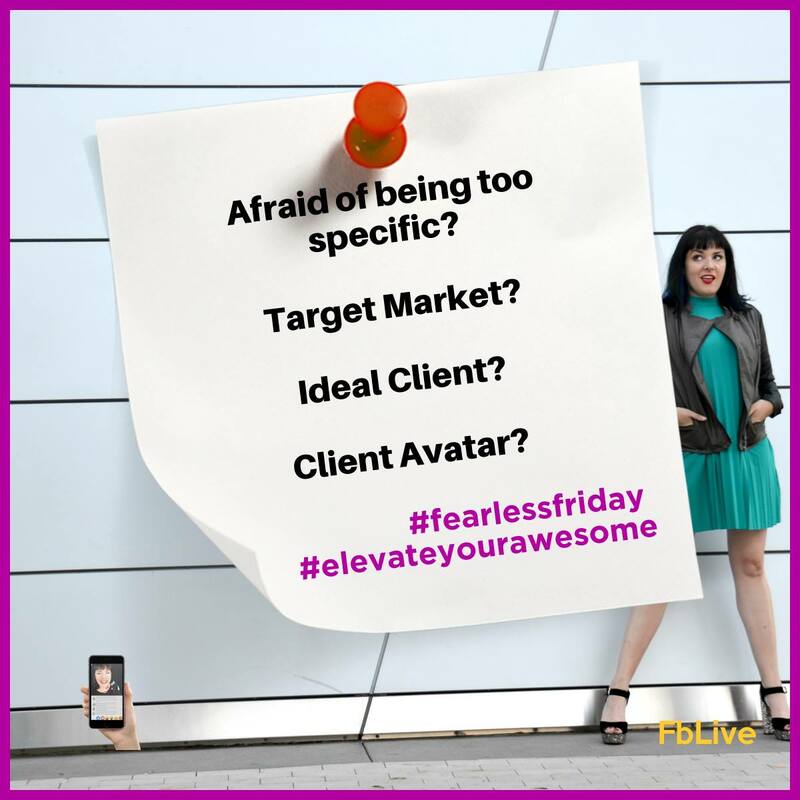 I'm about to hop on live and share one mega tip that will FREE YOU UP around the idea of defining your ideal client. This tip is MEGA helpful when it comes to going live. You are gonna LOVE IT! See you in a few! You gotta name and claim your perfect peeps. Truth! A yellow sheet of paper with names of people you know and work with and LOVE working with already is so revealing. What do you remember about those folks? What personal qualities do they share in common? How awesome were they in specific, terrific ways? One more idea that is a revelation — Sometimes your ideal client is a mirror reflection of who YOU are, quirks and all. Give that a try and see what ‘aha’ insights download to you instantly! For sure!!! I love that! I also have had HUGE aha’s when I reminded a client that she was NOT her ideal client. Hahaha! In that we often don’t realize that our clients might not know everything that we know. Both work so well! So hard for me to do!